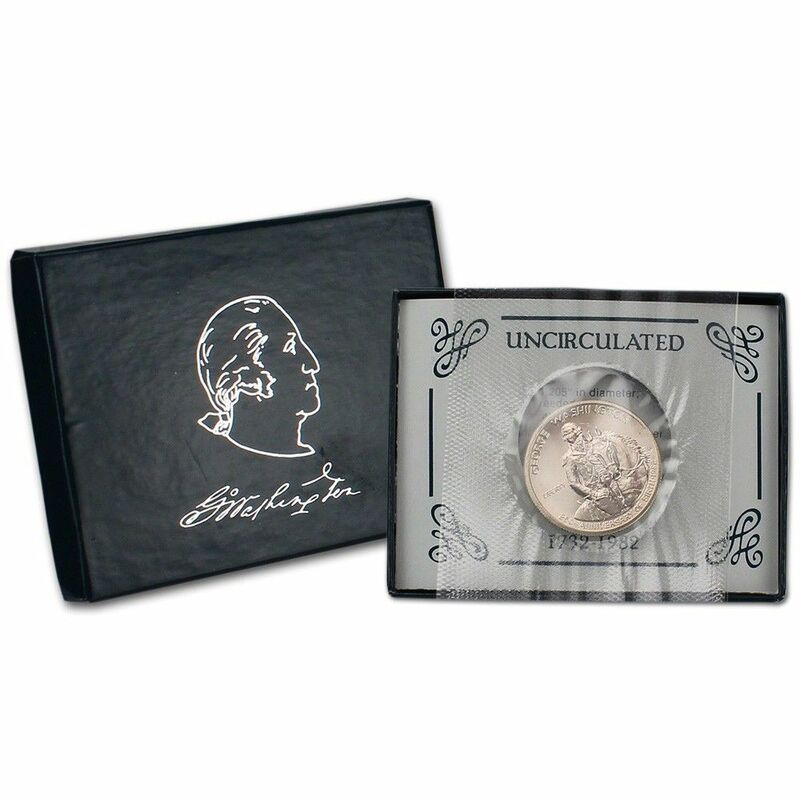 George Washington Uncirculated Silver Half Dollar in Box with COA (US Mint, 1982) Buyer. The 1982 George Washington Commemorative Half Dollar is composed of .900 parts silver and .100 parts copper. This is the first United States 90% silver coin to be minted since 1964 and the first commemorative coin to be produced by the United States Mint since 1954. 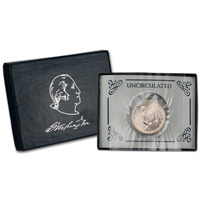 This coin was issued to commemorate the 250th anniversary of the birth of George Washington.